Those who know Edna best will tell you it’s no wonder she thrived on that opportunity. She’s the type of person who is all about growth. She never rests on her laurels. Instead, she possesses an unquenchable thirst for knowledge, and her life is a continual quest for new ways to grow and expand her horizons. This approach has served her well throughout her professional career as well. She began her career in the insurance industry and later spent many years in banking, where her role found her analyzing risk and accepting or denying consumer credit card applications. By 2007, however, Edna was ready for a new challenge and turned her sights to real estate. True to her nature, she learned everything she could possibly learn and immersed herself in the industry. She quickly realized she had discovered her true calling. To this day, she thrives on the fact that every day in real estate presents new challenges and new opportunities to learn and grow. In fact, one of the keys to Edna’s success as a leading Austin-area real estate professional is her belief that moving is all about growth. 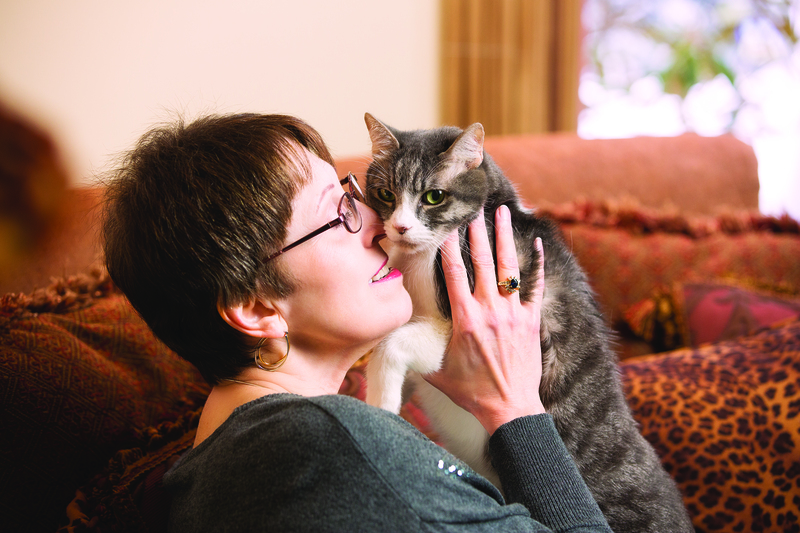 She views her role as helping people take that next step in their lives in order to get where they want to be. She blends her banking background, people skills and genuine desire to assist others to help her clients achieve their real estate goals. If you’re considering buying or selling a home or property in Austin or the surrounding communities, make sure you choose a real estate professional who understands the importance of your transaction. 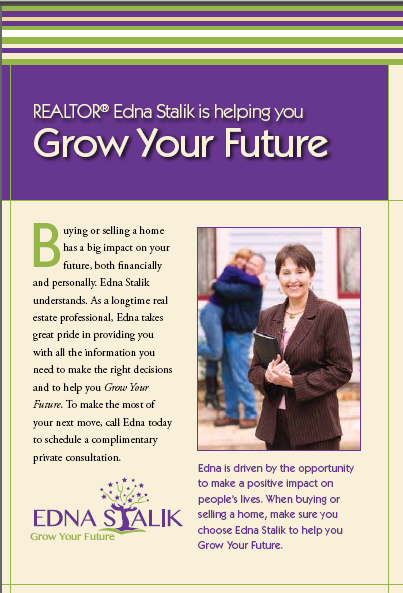 Edna Stalik takes great pride in helping you Grow Your Future. She’ll look after your best interests and not only help you buy or sell a home, but truly help you achieve the lifestyle you desire in your next home. Call her today to get started on your best move yet! Buying or selling a home has a big impact on your future, both financially and personally. Edna Stalik understands. As a longtime real estate professional, Edna takes great pride in providing you with all the information you need to make the right decisions and to help you Grow Your Future. 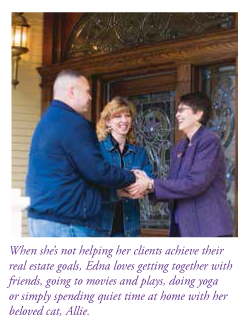 To make the most of your next move, call Edna today to schedule a complimentary private consultation.